For people who want true Trifari jewelry, the first fact to know is that Trifari never made any jewelry that wasn't signed. So if anyone advertises "vintage unsigned Trifari", they are probably advertising jewelry made by copycat companies. The only exceptions to this might be if a bracelet clasp was replaced, because the bracelet was signed on the clasp, or if a necklace is missing the Trifari tag. The owners of Trifari necklaces sometimes didn't like the small metal signature tags that hung at the clasp, so removed them. While copycats are a testimony to Trifari's quality, they're also a real bother to people who want only the Trifari brand and its quality of construction. What quality did Trifari give to their jewelry? Well, besides the excellent, gem-quality designs they created, they used only the best materials and craftsmanship. For example, any prongs you see on Trifari jewelry have been set by hand, using tweezers, because every stone was set by hand. Glass beads or stones were Austrian lead crystal. Enamels were set and epoxied by hand to prevent the chipping or cracking that was so common with other costume jewelry. 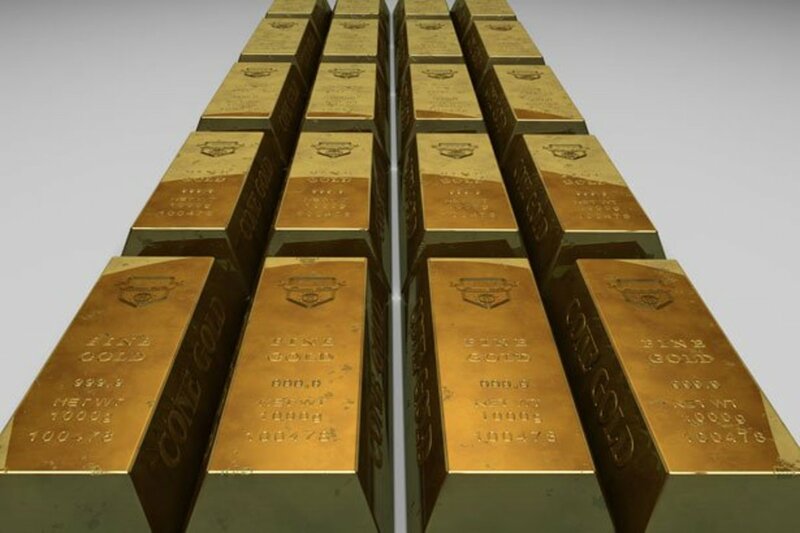 If a setting was to have a gold finish, instead of a single 14-carat gold plating, Trifari did a triple 23-carat gold plating. This plating process caused their newer gold-plated jewelry finishes to match the old, real gold jewelry that they had produced in earlier decades. Closures fit tightly on all Trifari jewelry. Clip-on earrings were the first that were adjustable so the ear wasn't painfully pinched. The pierced earrings were graduated so they slipped into the piercing easier, and earrings with either surgical stainless steel or gold posts can be found for sensitive ears. Trifari jewelry is known for being of not only excellent construction, but to be comfortable to wear. The shaping of the jewelry so it would drape on a neck or fit nicely on a wrist or ear were top considerations. The Trifari company opened in 1910 as Trifari and Trifari. At that time, Gustaf Trifari and his uncle owned the company. Gustaf was the 20 year-old son of a goldsmith from Napoli, and both he and his uncle had emigrated from Italy. Then he left to start his own accessories business, called Trifari. In 1917, Leo Krussman became a part owner, and the company was renamed Trifari and Krussman. Their jewelry was marked "TK" in a circle, with the T larger. In 1925, Carl Fishel joined the two partners, and the company became Trifari, Krussman and Fishel. Their jewelry at that time was marked "TKF", with the "T" larger, to indicate the senior partner. From 1937, either Trifari was used as part of the signature, or the T topped by a crown. Trifari had a constant struggle to stop knock-offs from trying to use their name. They were instrumental in getting the product name protection for jewelry changed from a patent to a copyright in 1955, and after that date, the copyright symbol is by their name. Trifari was responsible for many changes in the jewelry business. 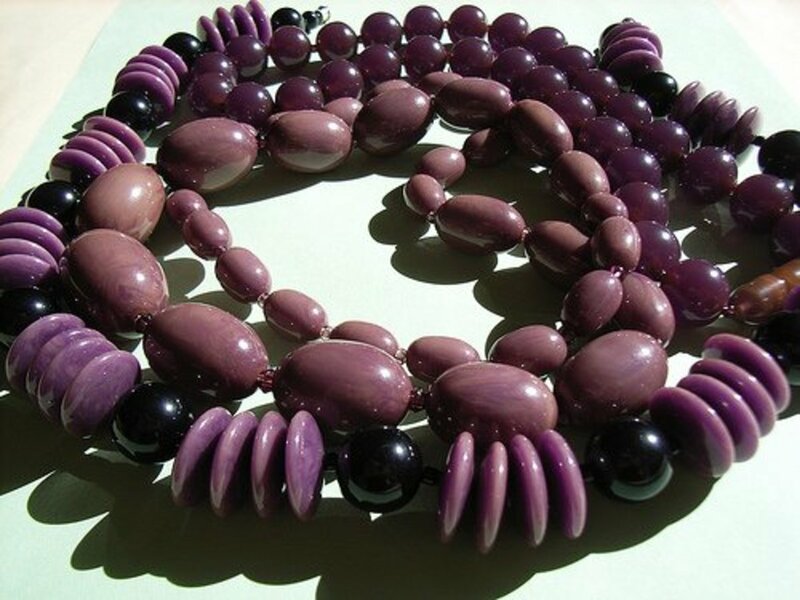 They are credited with making costume jewelry fashionable and popular. The three partners became known as the Rhinestone Kings. They also made Rhode Island the center of costume jewelry production for several decades. During WWII, Trifari's quality was appreciated so much that they were called on to make the corps emblems for the British Royal Air Force. The proceeds went to the war effort. In the mid-1970s, many companies were forced out of business as international costume jewelry sales increased. While Trifari didn't close, it was purchased in 1975 by Hallmark, which owned Trifari from 1975 to 1988. Then Crystal Brands owned it from 1988 to 1994. Then the Monet Group bought it. During this time, high quality signed pieces and sets in limited editions were made for QVC shopping sales. When the Monet Group went bankrupt in 2000, Liz Claiborne bought it, and still owns it today. However, it's no longer the Trifari that anyone would consider special. Cheap jewelry is made in Puerto Rico, and placed on cards with the Trifari name stamped on the cards. The only good thing about this is that people in Puerto Rico have jobs, even if they're surely underpaid. In 1930, Trifari had the good fortune to hire a French designer, Alfred Philippe, who had worked for such premier companies as Cartiers and Van Cleef & Arpels. The Depression had severely limited him from being creative with the premier companies, so he made the switch to Trifari, and regained his freedom to design. He was their head designer from 1930 to 1968. 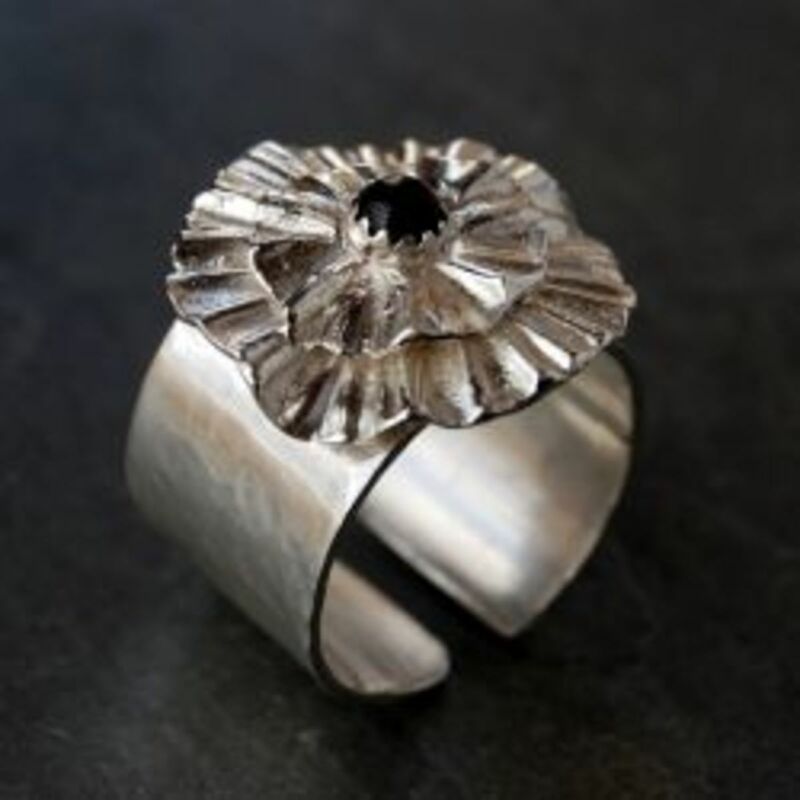 His craftmanship added greatly to the jewelry's quality, and is considered the main reason they developed their excellent reputation for beautiful, high-quality jewelry. He used methods he had learned or developed himself at Van Cleef and Arpels, and much of the Trifari jewelry is designed to look like the fine jewelry made of precious metals and gems. Alfred Philippe became the president of Trifari in 1966, and retired in 1968. 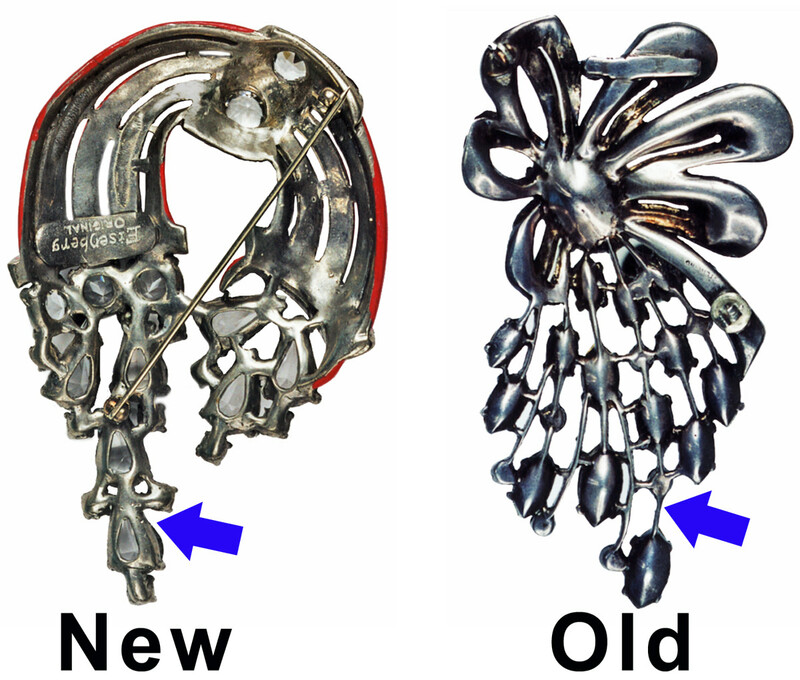 One of Phillips' triumphs was the series of crown pins that he had created. These were produced from late in the 1930s to the 1950s. In 1953, the coronation of Elizabeth II was celebrated with a series of Coronation Gems. The crowns, many of which were multi-colored, were so popular that they became a part of the Trifari signature. When the name was not possible on a piece, a "T" with a crown over it was used as the Trifari signature. Pieces that had the full Trifari signature also had a crown over the T.
- The floral pins were produced in the 1930s. - Jelly Belly pins of different animals in the 1940s. The animal's belly was made of solid Lucite and set in sterling silver or gold plate. These are all very collectible, with the rare poodles especially sought after. - Also in the 1940s, during WWII, patriotic pins were also made. They were mostly flags and eagles in red, white and blue. - Fruit and vegetable pieces were made in the 1950s. 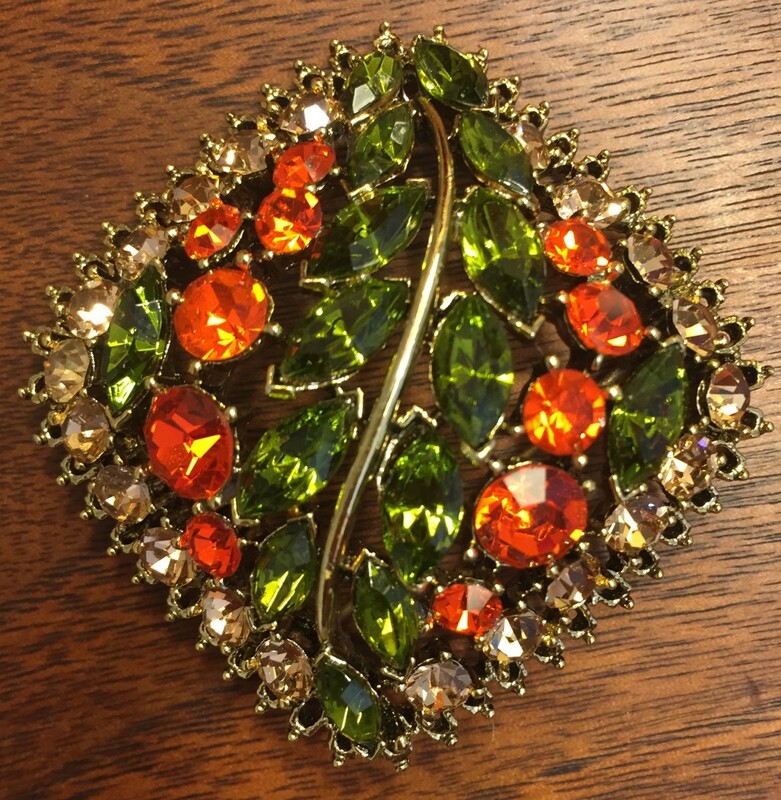 The most popular pins are the small ones that were made in the late 1950s and early 1960s. These are worn either singly or in groups. 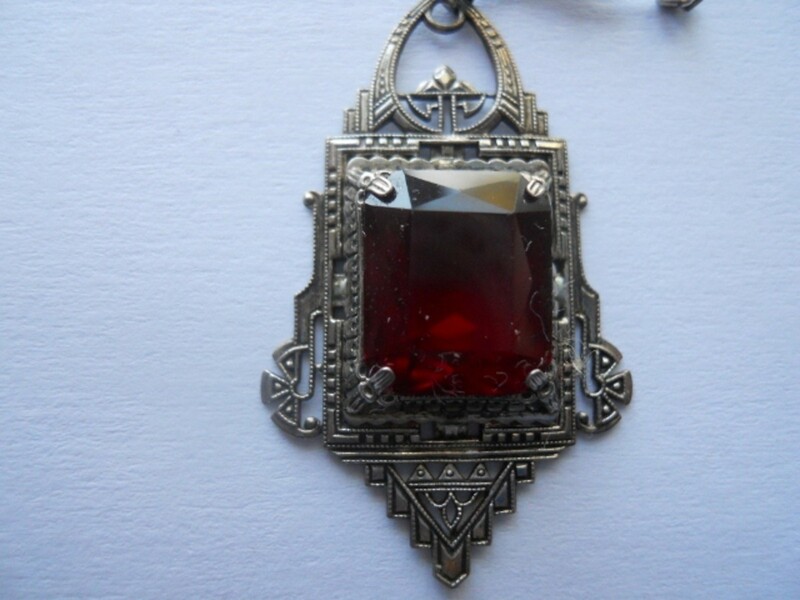 In World War II, metal was very hard to come by, so Trifari was forced to use sterling silver in its jewelry. These pieces were three times the price, and are also more expensive now. If a Trifari piece is sterling silver, this is the reason behind the use the different metal. After WWII, Trifari wanted to go back to their own metal mix for jewelry. However, if they did, they could have an image problem. To counter this, they invented a word for their metal mix, "Trifanium". They promoted it as a revolutionary product that didn't require polishing. The promotion worked so well that Trifari was chosen by Mamie Eisenhower to create her inaugural ball jewelry. Traditionally, all jewelry worn by a First Lady was precious metals and stones. Mamie was happy make the change and to wear this costume jewelry. Of course, calling this "costume jewelry" was not very descriptive, as only three copies were made of it. One copy went to the Smithsonian, one to Mamie and one to the Trifari archives. 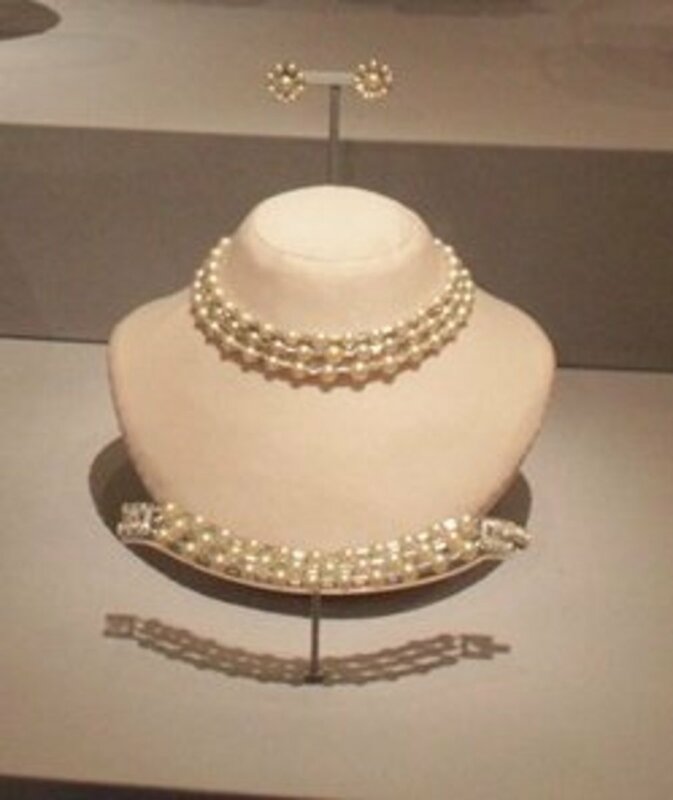 The set was designed by Alfred Phillipe and was a 3-strand pearl choker with a 3-strand bracelet and earrings. She liked his design so much that she had him do it again for her second inaugural ball in 1957. Isn't it fun, Becky? I have some jewelry from my mother, too, and I enjoy looking at it and remembering when she wore it. I inherited many pieces of my mother, great-aunts and grandmothers. Several pieces of Trifari were in the batch. I cherish them all. Such lovely pieces, especially the brooches! Great hub! I agree, carol7777. My sister loves Trifari, and Juliana jewelry, too. We both remember our mother wearing earrings and necklaces that we'd love to have today. This hub brought back many memories. My sister and I bought my mother a Trifari pin and earings. I wish I had them today. I love these nostalgic topics.